It is a tool of strength. It is a key to unlock your freedom of movement. 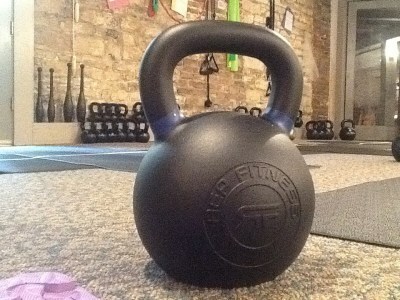 It is a full body workout you can hold in one hand. It is a fun and effective way to restore your power. 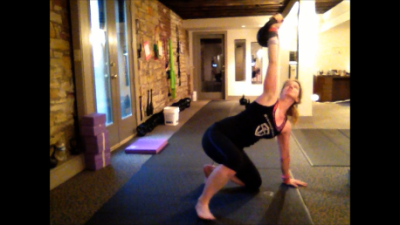 My name is Eileen Backman, and Just Kettlebells is bringing my passion for kettlebell training to Bloomington, Illinois. I am a certified kettlebell instructor with StrongFirst School of Strength--- an amazing international community of people dedicated to teaching the skill of strength, and sharing the message that strength has a greater purpose. 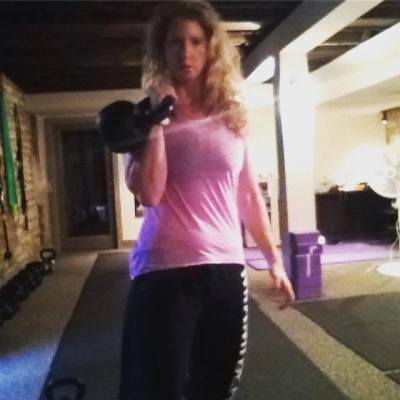 As a former cardio junkie, I have been amazed by how effective strength training with kettlebells has been in transforming my body and maintaining my weight. I am also certified in Functional Movement Systems screening. If you are just getting back into fitness, or have hit a plateau, an FMS screen may help pinpoint the cause, and set you back on the path of better movement so you can reach your fitness goals. 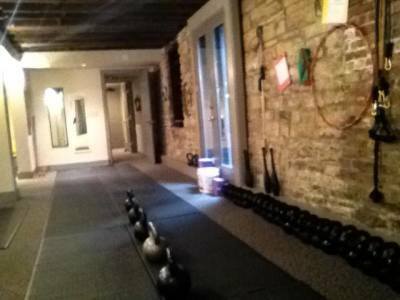 Just Kettlebells is located downtown, in the basement office of my husband (and best friend), Jonathan Backman, just to the north of Kelly's cafe. Come on down or contact me for more information on how to register for upcoming classes. In May 2018, after 14 months of tranining, I became the 26th person to achieve the Sinister Standard. Click video on the right for the passing submission.